One of the people that contacted Zeoli was Marcos Martinez, who created artwork for Praetorian to be used on their website, posters and more. Martinez, 28, said he has done work for MMA promotions like Legacy Fighting Championship, Maximum Fighting Championship, and different amateur organizations from around the world. He was contacted by Alex Martinez through his Graphzilla Facebook page in May. He started working on Praetorian materials in June for their July event. Like Zeoli, Martinez delivered his work but never received payment for it. You can see some of his work in the poster on the right. The artwork always looked great. But Praetorian’s Martinez dug into his excuse playbook to tell Graphzilla’s Martinez why he hadn’t yet been paid. Graphzilla’s Martinez says he was patient, even willing to amend their agreement if it would help him get paid. He then told the Praetorian owner that he was taking legal action and had a lawyer help him prepare everything he would need for small claims court. But when he found out that others were working on a class action suit against Praetorian, and he agreed to join it. Mani Santiago, who we mentioned at the top of this piece, initially got involved with Praetorian to do business in his role with Mio Fight Gear. 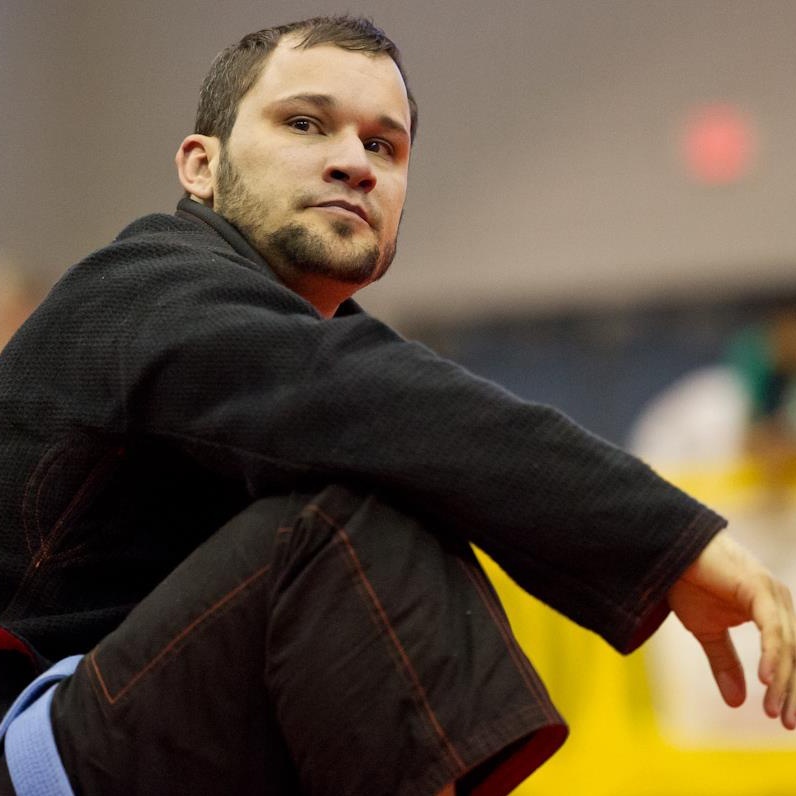 A Brazilian Jiu-Jitsu practitioner, Santiago planned to cross over into MMA and make his debut at age 35. He chose Praetorian because he developed a relationship with Martinez — or so he thought. Santiago ended up being screwed both as a business partner and as a fighter. Santiago was part of Praetorian from the beginning. Martinez wanted him to provide Mio shorts and gloves for fighter pictures. Santiago brought him about 6 pairs of both gloves and shorts. It didn’t take long for Santiago to get an uneasy feeling about doing business with Martinez. He could tell that Martinez was trying to avoid talking about money. “I started by giving him one of each size gloves and shorts. I asked again when he would want gloves and to meet for pricing and such. The promises of talking money kept coming so at that point I didn’t feel comfortable doing business. He wanted me to front things. Martinez kept all the gear that Santiago provided, which he said totaled approximately $500. Martinez never paid for any of it. Santiago never pushed hard on the matter of payment because he was looking at the bigger picture of business down the road. And Martinez dangled that carrot in front of him in order to keep the gloves and shorts for other photo shoots. “We were still talking about Mio being involved in some way but it was always a weird conversation. He was full of these illusions that sounded good for me money-wise so I didn’t want to ruin that possibility because I worked hard to bring Mio back,” Santiago said. Santiago said Martinez was shrewd in steering conversations to avoid talk of payment by throwing out other ideas. Santiago was at the first Praetorian event and tossed out a lot of free Mio Fight Gear merchandise to the crowd. But he was also supposed to be part of the broadcast team for the video portion of the event. That team was supposed to include Ray Flores, who was also the cage announcer, Santiago and me. But when we arrived at the event, Martinez told us that he could not get in contact with the girl that was supposed to bring the equipment and it hadn’t yet arrived. I thought that was either two things: extremely unprofessional, or just a lie. On top of that, three other fighters showed up and Flores and I had a brief chat with them. They were asked if they were at the event to just watch the fights. They told us they were there to announce. So Martinez told two different groups that they would be announcing that night. I was disappointed, but I stayed and covered the event as I would normally do. I wanted to see many of the fights on the card, especially Angelo Rivera Jr. vs Andrew Potapenko, as well as other fighters from Top Notch, Patriot Boxing, and Combat Do. It was an excellent event, filled with exciting fights. After the event, Martinez agreed that Flores, Santiago and I would meet in the coming weeks to overdub the video with our commentary. That never happened. Flores was paid for his services that night because he was also doing his cage announcing, but both Santiago and myself were not paid. Martinez maintains that is why I’m writing this piece about his promotion, which couldn’t be more wrong. In fact, I continued to cover his events and write about them long after that day. I was one of the few MMA writers in town to give him a chance to explain himself after his first Praetorian cancellation. I gave him that opportunity while he was getting absolutely slaughtered on Facebook, not only for the last-minute cancellation but because he brought up other promotions and their treatment of fighters. The lowest thing ever done in the history of Chicago MMA was when Martinez, trying to defend his own shortcomings, spat out some bile at Fight Card and posted a picture of Jeff Dunbar, mocking them about how they took care of their fighter. It was disgusting and offered a clear picture of what type of person Martinez was. Martinez often mentioned how other promotions tried to railroad him and get his events canceled. I’m not sure what kind of treatment he expected after calling most of them out and getting into public wars of words with them.